We will honour the standard manufacturer’s warranty that applies to equipment purchased from Electroquip. This is typically 12 months from the date of purchase with any variation confirmed at the time of order. 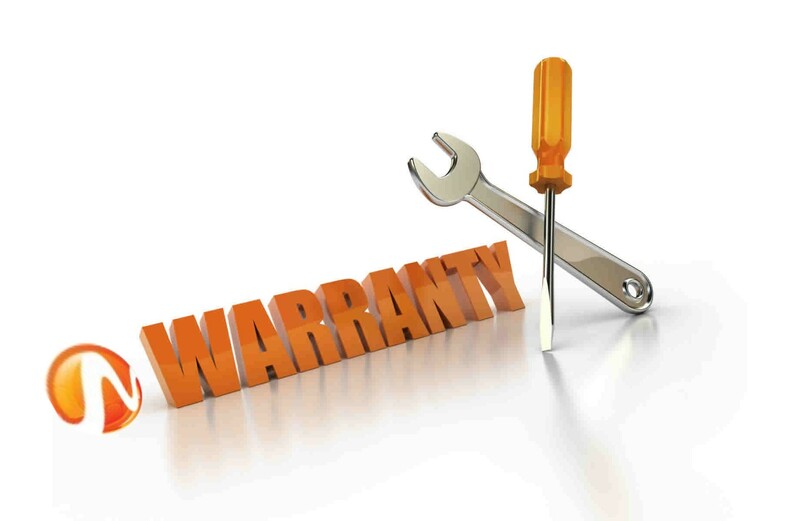 Should you need to make a warranty claim you should contact us at Electroquip. In addition to manufacturers warranties we can offer extended warranties for additional years until the product is 3 years old. Extended warranties must be purchased at time of ordering or within 7 days of receipt of goods. Our installed product evaluation service will help you take stock of your inventory from identifying parts used to a comprehensive site evaluation survey. We will recommend replacement or alternative products where items are now obsolete or difficult to source. A detailed spares list will be compiled by site, by area/location by panel. This is a chargeable service which is refundable upon sign up of an agreement. Many customers could benefit from our kitting service. We put together a kit of products made up to your specification and deliver in one shipment as and when required. We are able to offer a comprehensive range of electronic repair services including all necessary parts, labour, material and recalibration for a broad spectrum of suppliers and manufacturers. Repairs are carried out by the original manufacturer or specialised repairs organisation and carry a comprehensive warranty. Repairs can be facilitated on the customer’s site based on an hourly rate charge and we can also arrange out of hours repair contracts if required. Our spares service offers you the opportunity to purchase original manufacturer spare parts to maintain and repair your plant floor equipment. 1. (a) In these Terms and Conditions "the seller" means ELECTROQUIP LTD. The person or company who has placed an order with the Seller is referred to as "the buyer" which expression shall include the principal on whose behalf the person or company placing the order may be acting as agent. (b) The Buyer's order is accepted subject to these Terms and Conditions ONLY which shall over-ride any terms and conditions stipulated by the Buyer whether referred to our contained in his enquiry or order form or otherwise. The placing of an order with the Seller shall be deemed to be an acceptance of the Seller's Terms and Conditions. No variation to the Seller's Terms and Conditions shall be binding upon the Seller unless expressly agreed to by a Director of the Seller in writing. (c) The terms of the contract consist only of those contained in the Seller's acceptance of the Buyer's order and these Terms and Conditions and the Buyer shall not be entitled to rely on any other representations, statements or warranties whatsoever unless specifically confirmed by the Seller in writing for the individual Buyer. (d) Performance of the contract by the Seller is subject to availability of goods and material from time to time. 2. All promotional material, advertising matter, plans, designs, drawings, specifications, illustrations, details, booklets, catalogues or other written or printed matter whatsoever supplied by the Seller are supplied only for the purpose of general guidance and represent generally goods or materials or devices specified but not necessarily the goods or materials or devices the subject of the seller's quotation or tender and shall not form part of any contract based thereon. 3. (a) Where the Seller has expressly agreed in writing or otherwise a delivery or dispatch date, this is an estimate only and the seller accepts no liability in circumstances for any loss or damage resulting from late delivery or dispatch whether due to negligence or otherwise. (b) Any delay in delivery or dispatch caused by delay in the Buyer's instructions or by any delay in transit or by any cause whatsoever beyond the Seller's reasonable control shall entitle the Seller to an extension of the delivery or dispatch date (as the case may be) by a period equal to the period of delay of the nature referred to above. (c) In the matter of dispatch and delivery, time shall never be of the essence of the contract. (d) Delivery will occur at the place specified in the acceptance of order or if no place be specified at the place to which the goods the subject of the order would normally be dispatched. (e) The Seller may charge the Buyer additional costs incurred as a result of the Buyer's failure to take or accept delivery when due or made, or to give adequate delivery instructions. (f) Where the Seller agrees to repair or replace goods or materials in accordance with sub-clause 6(d) or carry out again any services, any time specified for the delivery or dispatch of any such goods or materials or services shall be extended for such period as the seller may require. (g) All responsibility on the Seller's part shall cease when the goods the subject of the contract are dispatched from the Seller's premises. (a) The prices appearing on the Seller's price lists, catalogues, booklets and advertising matter are for general guidance only. (b) The price quoted by the Seller in the quotation is based on prices ruling at the date of the quotation. Any quotation issued by the Seller remains valid for 30 days from the date of the quotation. It does not cover the costs of packing, carriage, delivery, special charges and any air freight requested and agreed and Value Added Tax which shall be charged to the Buyer's account. If between the date of the quotation and the date on which the goods are dispatched, variations either by rise or fall occur in those costs, then the Seller shall have the right to increase or decrease the price to provide for these variations. The Buyer will be advised of any such price adjustment as soon as possible. (c) The Seller reserves the right to make an additional handling charge which shall be payable by the Buyer and charged to the Buyer's account. (d) Where no price has been fixed or agreed at the time of the Seller's acceptance of the Buyer's order, the price shall be that current at the time of delivery plus the costs of packing, carriage, delivery, special charges and any air freight requested and agreed, and Value Added Tax which shall be charged to the Buyer's account. (a) Payment in full of the Seller's invoice shall be made no later than 30 days following the end of the month stated as the date of the invoice. (b) Time for payment shall be the essence of the contract and interest at the rate of 4% over Nat West Bank PLC's base rate from time to time shall be payable on any overdue payments and shall run from the date payment is due until the date payment in cleared funds is made as well after judgment as before. (c) Payment shall not be withheld pending the settlement of any dispute. (d) If the Buyer fails to pay for the goods on the due date (or fails to pay any instalment, in which case the whole outstanding balance shall immediately become due) or if the Buyer goes into receivership or is declared bankrupt (or any equivalent thereof) or enters into a composition with its creditors, or if the Buyer, being a company, goes into liquidation or into receivership or is otherwise declared insolvent or prohibited from trading then the Buyer shall immediately notify the Seller thereof and shall, upon demand made orally or in writing by or on behalf of the Seller, deliver the goods or cause the goods to be delivered up to the Seller or to their order. (a) Subject to sub-clause (b) below under no circumstances whatsoever will the Seller be liable in contract tort or otherwise for any loss or damage of whatsoever kind or howsoever caused or for anything done or omitted to be done in connection with the Buyer's order or any work in connection therewith. (iii) refund the purchase price of the goods if paid or of any defective part thereof after deducting such sum as the Seller considers appropriate having regard to the extent, if any, to which the goods may have been used or interfered with by the Buyer. The exercise by the Seller of any of the above options shall be or shall be deemed to be accepted by the Buyer in full and final settlement of all liability of the Seller. itself acquired in substantially the same form, or actually in the same form, from a manufacturer, whether such goods are used by the Seller as a component part of a larger item ordered by the Buyer or not, the liability of the Seller to the Buyer in respect of the goods concerned shall not exceed the liability of the manufacturer to the Seller. (d) Where goods or materials delivered by the Seller suffer damage in transit, the Seller shall only be liable if a written claim giving full particulars is received by the Seller within 48 hours of delivery and the Seller's liability shall be limited to the repair and/or replacement of the goods or materials at its sole discretion upon return within two weeks of delivery of the damaged goods or materials to the Seller. 7. No guarantee or warranty, express or implied, as to the suitability or fitness for any purpose or merchantability or otherwise of the goods supplied by the Seller is given by the Seller. (ii)all other goods the subject of any other contract between the Seller and the Buyer. (b) If the buyer should make a new object of whatever nature from the goods, the subject of this contract, or mix the goods with any other object or objects or material, or cause or permit to be attached to the goods any new object or objects, or if the goods in any way whatsoever become a constituent of any other object, the Buyer will store such new object or objects separately and the Seller will be given legal and equitable ownership of such new object or objects. This transfer of ownership will be deemed to have taken place at the moment that there is attached to the goods the subject of this contract any new object, or are mixed with or become and constituent of any other object. Until such time as payment has been made as stipulated in sub-clause (a) above, the Buyer shall hold the subject or objects as agent on behalf of the Seller. (c) Notwithstanding the provisions of sub-clauses (a) and (b) above, all goods after delivery or dispatch by the Seller, whichever is the earliest, are at the Buyer's risk and must be paid for, notwithstanding the destruction thereof or any damage thereto however caused. 9. (a) The cancellation of an order by the Buyer for any reason, be it incorrect ordering or otherwise, will only be accepted at the discretion of the Seller and in any event or condition that any costs or expenses incurred by the Seller as a direct or indirect result of such cancellation plus a minimum of 15% of the value of the order cancelled are paid and all loss or damage resulting to the Seller by reason of such cancellation is made good by the Buyer to the Seller forthwith. (b) Acceptance of such cancellation will only be binding on the Seller if in writing. 10. The Seller shall not be liable to the Buyer in respect of any failure to perform its obligations under this contract due to circumstances beyond his control, which circumstances shall include but not be limited to weather conditions, fire, breakdown in the Seller's plant or machinery, floods, war, immobilization requisitions, embargo, insurrection, currency restrictions, shortage or breakdown of transport materials or plant, restrictions on the use of power, lockout, strike, stoppages, industrial dispute or acts of terrorism. 11. Where the Seller provides or performs any services for, or gives any advice to the Buyer in relation to the goods sold, whether at the request of the Buyer or otherwise, the Seller shall not be liable to the Buyer in respect of any damage or loss whatsoever kind caused to the Buyer or to the property of the Buyer and arising out of the provision or performance of such services or the giving of such advice. 12. The proper law governing this contract is the Law of England.